Come see student artwork at the Pratt in Venice Exhibition! The 2011 Pratt in Venice Exhibition features student work from the past summer of Pratt’s long running study abroad program in Italy. Both undergraduate and graduate students produced photographs, paintings, prints, and drawings while living abroad. The students spent six weeks exploring the art and culture of Venice, and the exhibition will be a chance for them to showcase their creativity influenced by this unique City of Water. Additionally, research conducted by Pratt art history students will be showcased in a poster display. The artworks, inspired by the beautiful city of Venice, will be shown in the 2nd Floor East Hall Gallery on Pratt’s Campus. 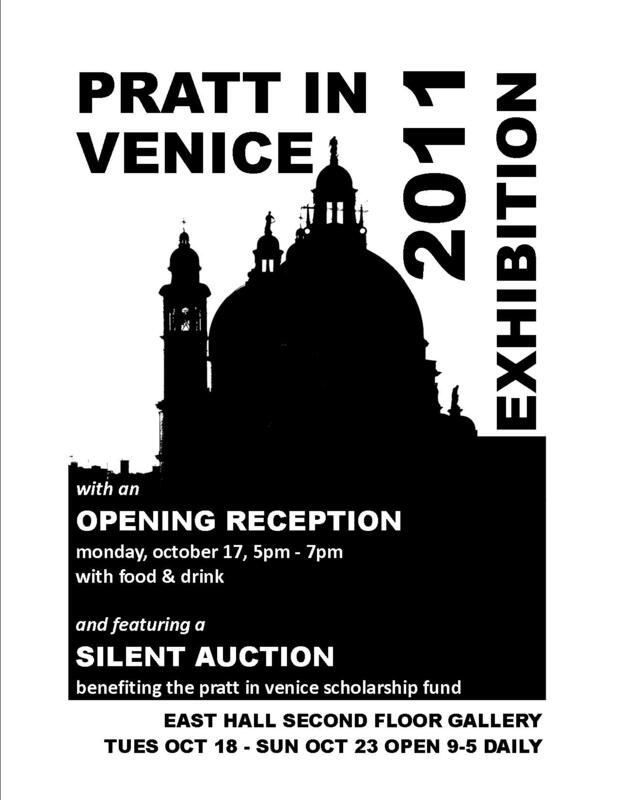 The Pratt in Venice Exhibition will run from Tuesday Oct 18 to Sunday Oct 23, from 9-5 daily, with an opening reception on Monday, Oct 17 from 5-7pm with food and drink provided! In addition to seeing the show, you’ll have a chance to purchase some of these amazing original artworks via a silent auction conducted during the exhibition to raise money for Pratt in Venice’s scholarship program. Students in Bassano sketching the Dolomite foothills. 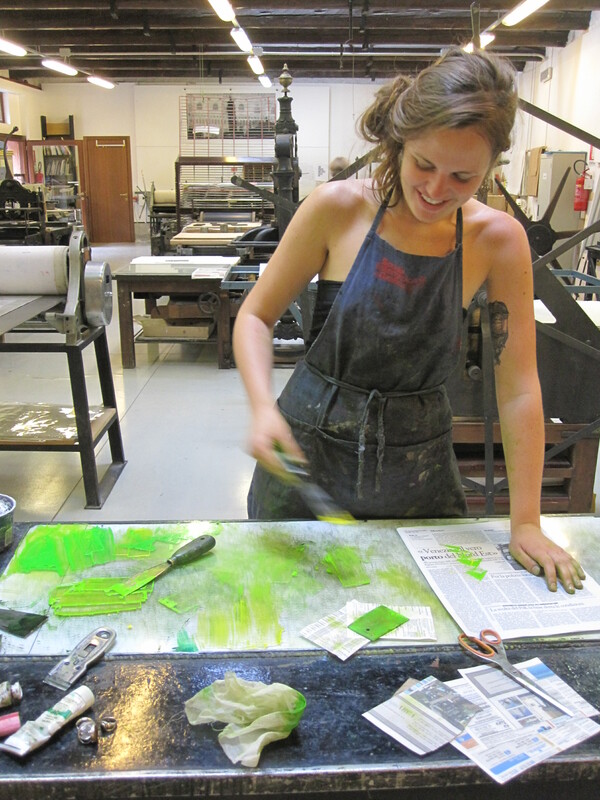 Working in the Printing Studio.